Drive to everything from this LARGE Luxury home on Nicklaus North golf course yet minutes from town. It has it all from two 31" TV screens and sleeping capacity for 10/12. We all deserve a little luxury but some of us deserve a lot! Arrive by floatplane in summer or more conventionally in winter and live like royalty in this luxurious links lodging located on the lengthy first fairway of the award winning Nicklaus North Golf Course. With 4 large bedrooms a large family room/5th bedroom and 5.5 bathrooms this 3600 square foot residence has everything you need to holiday in comfort and style on your wondrous Whistler vacation. 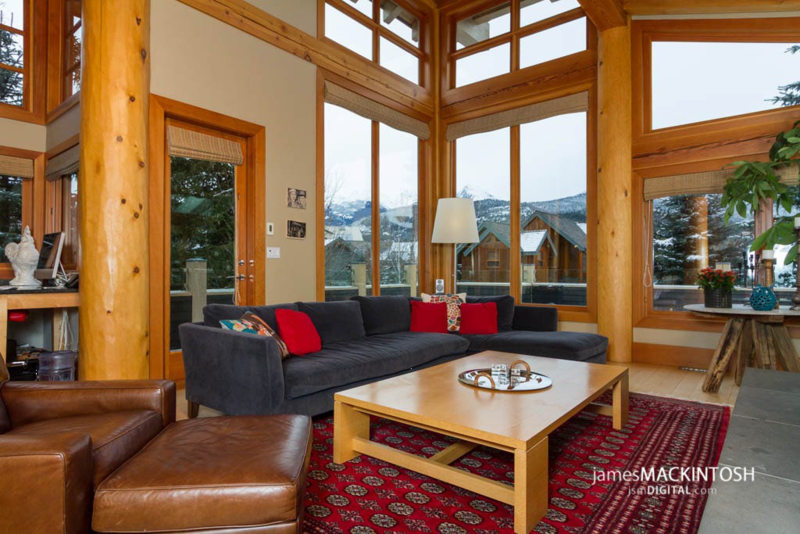 From the 200yr old fir floors and stressed wood cabinets to the outdoor hot tub with million dollar views, this bright and spacious Whistler Home exudes both grandeur and charm and is sure to fulfill your holiday dreams. Laundry Facilities: Large in house washer dryer with complimentary soap. Fresh Linens: On arrival and weekly for bookings over 7 days. Videos: Small selection for all tastes. DO NOT REMOVE. Books: There are a few but do leave any good ones behind, I am sure other guests will appreciate them.